Video Poker is a combination of Poker and Slots. It is a totally computerized casino game, which made its transition from real to online casinos quite smooth. Video Poker has elements from both the oldest and newest forms of gambling; it is based on the classic game of Poker which has its roots in Europe, and combined with the ease of the computerized Slots game that was developed in modern day America. Video Poker was pitched to Bally Technologies by an employee name Si Redd in the mid-1970s. Bally executives rejected the idea (don’t they feel silly now!) and Redd left Bally to form his own company and promote his new invention. He named his company Sircoma, which developed into what is known today as International Game Technology (IGT). Video Poker was not an instant success like Slots, but by the mid-1980s, Redd’s efforts finally started to bear fruit. Along with MTV, Video Poker took off and captured the attention of Las Vegas gamblers. It was only a matter of time before it captured the attention of internet gamblers as well. While Video Poker was originally based on Draw Poker, the most popular version today is Jacks or Better, so called because the the player must achieve a pair of Jacks or Better from their five cards in order to win the game. 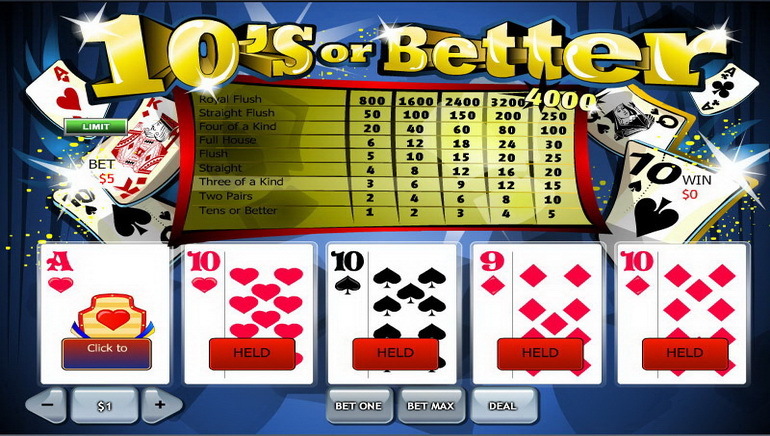 Video Poker is now one of the standard, most popular games on online casinos, and can hold its own when compared to classic games such as Poker, Roulette and Blackjack. 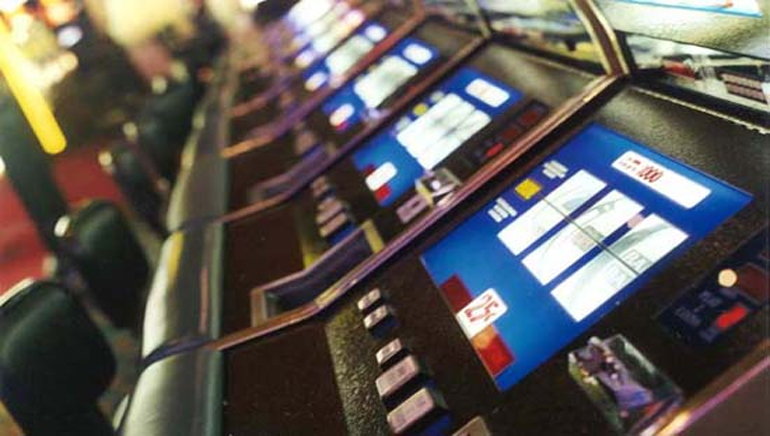 Video Poker’s vocabulary is a mixture of standard Poker terms, Slots terms and newer terms, befitting of its origins. Action: The total amount that is bet by a player in a game. Bet Max: The maximum bet on a particular game; usually five coins per hand. Discard: The card(s) the player chooses to throw away after the first round is dealt. Flush: A five-card hand in which all cards are of the same suit. Four of a Kind: A hand in which four of the cards have the same value (for example, four Kings). Full House: A hand that has three of a kind and a pair (for example, three 10s and two Jacks). Hand: Five cards that are dealt to the player by the machine. Hold: The card(s) the player chooses to hold onto. Jackpot: The maximum possible bonus, usually won with a royal flush. Pair: Two cards that have the same value (for example, two 4s). Pay Back: The estimated payout percentage of a particular game, based on the data of millions of hands. Payout: The amount paid out to the player for one hand. Pay Table: A list of payouts for each scenario; usually displayed on the screen. 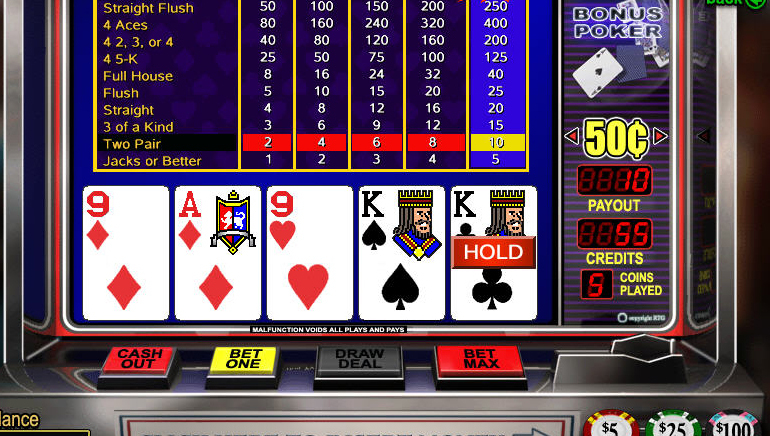 Royal Flush: The best possible hand in Video Poker (and regular Poker). It consists of an Ace-high flush (five cards of the same suit). Straight: A hand of five consecutive numbers (for example, 3, 4, 5, 6, 7). Straight Flush: A hand that has a straight in which all five cards are of the same suit. Winning Hand: Any hand that pays out a winning combination. Video Poker’s rules are fairly straightforward when compared to the rules of other forms of Poker. Almost all Video Poker games are played with a 52-card deck of cards. At the start of the game, the player makes a bet, presses deal, and the machine deals five cards. The player can hold or discard as many cards as he wishes. If a player has discarded cards, the machine then replaces the cards with more cards. The five cards the player is left with is his final hand, and he is to be paid out (or not) accordingly. The payouts for Video Poker vary from game to game. The standard hierarchy of hands is: Royal Flush; Straight Flush; Four of a Kind; Full House; Flush; Straight; Three of a Kind; Two Pair; One Pair of Jacks or Better. The House has no defined advantage in Video Poker. Payout percentages vary from 97% to as high as 99.5%, but the one rule that stays the same in all versions of Video Poker is that the player plays against the machine, and the only possible results are winning or losing. As you would anticipate from the description, Video Poker is a simple game that has a fairly simple strategy. There is only one choice a player can make after the initial deal: which cards to hold, and which to discard. The following are basic rules of thumb that apply to the game of Jacks or Better, but can be easily adapted to other forms of Video Poker. Straight Flush: If this comes out of the machine, you should hold all cards. This scenario is quite rare, and has the possibility of a huge payout. Four of a Kind: If this comes out of the machine, you should hold all cards. It is not only the second-best card combination, but you can’t get a better hand by discarding even one card. Full House: If this comes out of the machine, you should hold all cards. This is the third-best card combination, and can’t be improved upon by discarding any cards. Flush: Hold all cards, cannot be improved upon. Straight: Hold all cards, cannot be improved upon. Three of a Kind: Keep the three of a kind and discard the other two cards. Two Pairs: Keep the two pairs and discard the fifth card for a shot at a Full House. Jacks or Better: Hold the pair and discard the other three cards. If you don’t get any of the above cards after the initial deal, discard all non-picture cards and hope for better luck next time! Below are some handy tips which can help you improve your Video Poker game. Play real Poker before trying Video Poker. Then, you will be familiar with all the rules and hands, and will have an easier time playing against the computer. Always read the Pay Table before starting a new game of Video Poker. The Pay Table shows the payout for each card combination, and a good Pay Table will have a payout percentage as high as 99.5%. If you get any winning hand on the initial deal, do not discard all five cards. Even if you have a pair of Jacks, this is still a guaranteed win; discard the other three to see if you can get a full house, or three or four of a kind. If there is a progressive jackpot, make sure to play the Max Bet in order to qualify to win. Keep your emotions at bay. The best Poker players know that losing control of their emotions will only damage their concentration. Keep calm, and you will be able to make the best decisions. Keep in mind that each hand is a new hand, and if you previously lost, that has no impact on your chances of winning in the future.